Of course I’m already thinking about spring – I’m not a winter person! And Valentine’s Day is coming up fast…. They’re available in your choice of silver plated settings (shown here), or patina brass settings, or golden brass. 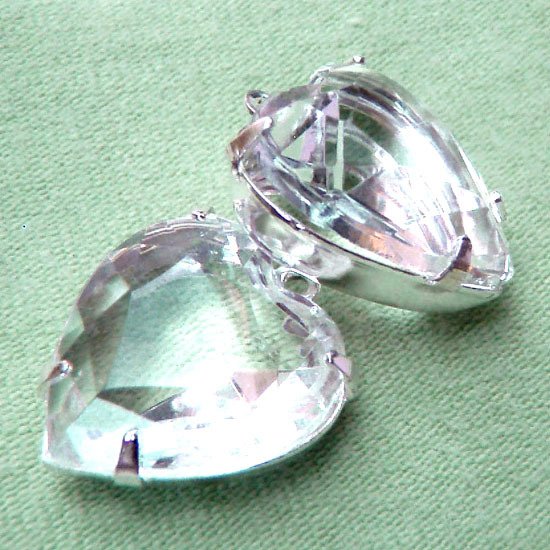 Make yourself a pair of pretty earrings – with vintage jewels. Eco friendly and pretty! P.S. 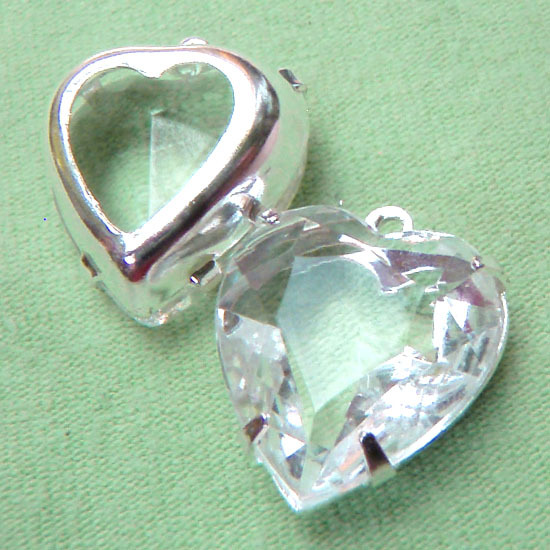 And of course if you make jewelry to sell – heart jewels are hot!